21.5. – 21.6. Mon-Fri 8 a.m. – 4 p.m., customer service 10 a.m. – 4 p.m.
6.8. – 26.8. Mon-Fri 8 a.m. – 4 p.m., customer service 10 a.m. – 4 p.m.
As a rule students can’t get material from a closed library unit. However, in case of an urgent need e.g. having to do with graduation it is possible to get a book before August by contacting the library (library@helsinki.fi, tel. 02941 23920). All cases are assessed individually. 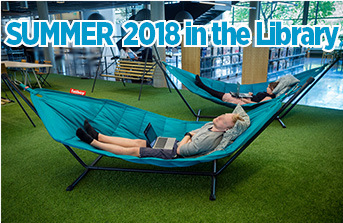 Keep in mind that the e-library is open 24/7, also in the summer! 21.5. – 20.6. Mon-Fri 8 a.m. – 8 p.m., Sat 11 a.m. – 5 p.m. Customer service Mon-Fri 10 a.m. – 7 p.m., Sat 11 a.m. – 5. p.m.
Thu 21.6. 8 a.m. – 6 p.m. Customer service 10 a.m. – 6 p.m. Customer service Mon-Fri 10 a.m. – 6 p.m. When the campus libraries are closed, please contact the Main Library Kaisa House customer service at the 3rd floor. Customer service is open Mon-Fri 10 a.m. – 6 p.m. We try to answer e-mails during the following working day. 14 day loans (textbooks) starting on May 3rd. Students can’t get material from the Kumpula Campus Library during the renovations. 2 day loans starting in June 19th. As a rule students can’t get material from a closed library unit. However, in case of an urgent need e.g. having to do with graduation it is possible to get a book before the middle of September by contacting the library (kirjasto@helsinki.fi, tel. 02941 23920). All cases are assessed individually. When the campus libraries are closed, you can return books to the Main LIbrary. Outside the opening hours please use the return unit on Fabianinkatu. Books can be returned to the return boxes also in Viikki, Kumpula and Meilahti throughout the summer. When returning books, note that the boxes are emptied in certain days. Your loans may not necessarily appear as returned immediately and fines will be collected if the loans are overdue. Kumpula: Once a week on Monday mornings at 9 o’clock (May 21st-September 3rd, 2018). Viikki: Twice a week on Monday and Thursday afternoons (June 22nd-August 5th, 2018). Meilahti: Twice a week on Monday and Thursday afternoons (June 22nd-August 5th, 2018). On the Kumpula Campus the overnight return box is located at Physicum’s main entrance (Gustaf Hällströmin katu 2a), next to the gray side door. Next to the main doors of the Viikki Campus Library (Info Centre), there is a joint return box for the Campus Library and the Helsinki City Library in which you may return materials at any time of the day. On the Meilahti Campus, please use the return box at the lobby in Haartmaninkatu 3. The building is open Mon-Fri 7:45 a.m. – 3:45 p.m. during the summer. If you have a reservation waiting to be picked up in a library that is closed, you can pick it up in the Main Library Kaisa House. Please call or send an e-mail to the Main LIbrary. 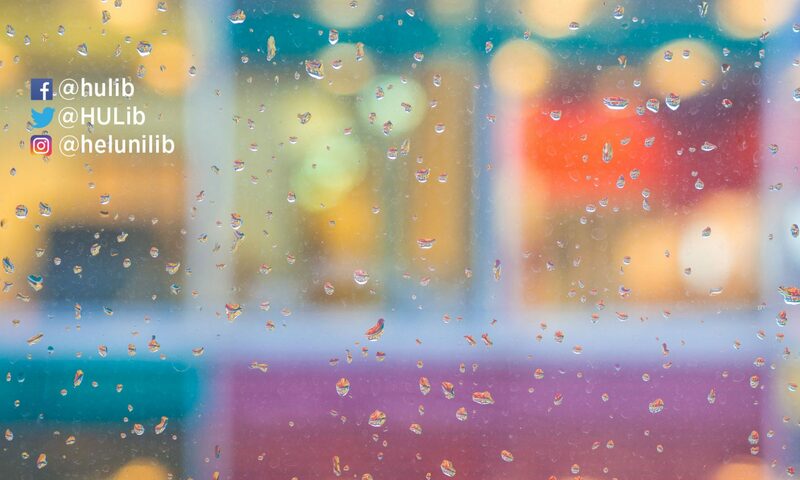 On Wed May 9th onwards reservations from the Kumpula Campus Library will be moved without further notice to the Main Library. The HUPS-service for University staff is available all summer. It is also possible to order from libraries that are closed, with the exception of Kumpula’s collections. Printed materials cannot be ordered from the Kumpula Campus Library when it is closed (21 May – 2 September 2018). The interlibrary loan service is available all summer. Requested interlibrary loans will be available for pick-up in the Main LIbrary Kaisa House.